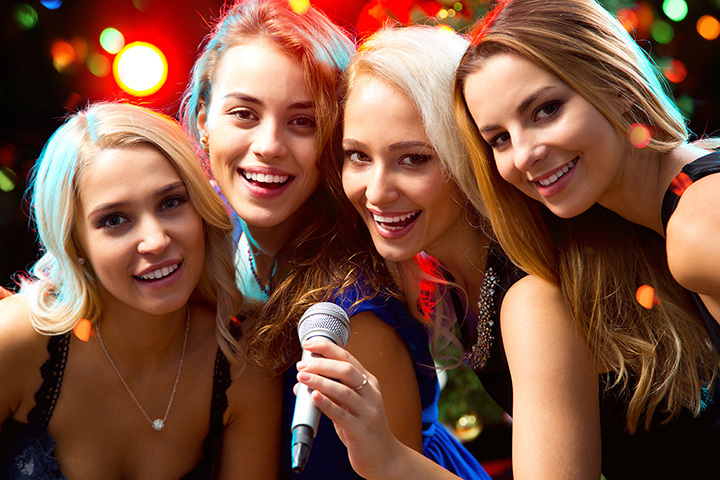 The 10 Best Karaoke Bars in Maine! It doesn’t matter if you’re a wonderful vocalist or just someone who had a little too much to drink and decided to get up on stage to belt out a slightly off tune “Don’t Stop Believing,” everyone loves a good karaoke night. There are plenty of places in Maine to show off what you’ve got. Here are our 10 favorites karaoke bars in the state. A popular sports bar, Champions Sports Bar in Biddeford offers several nights of acoustic music and two nights of karaoke. Karaoke and dancing can be found Thursday and Saturday nights from 9:30 p.m. through 1 a.m. Grab your friends and pick out your favorite songs to get down to. Known locally as one of Portland’s dive bars, the Old Port Tavern, also known as OPT, is an acquired taste for many. The Old Port Tavern Lounge hosts karaoke nights with various DJs on Monday, Tuesday, and Thursday nights with lots of drink specials to give you the liquid courage you need to get up to the mic. Karaoke is always better in an Irish pub! Maybe it’s the Guinness or the atmosphere, but Paddy Murphy’s in Bangor is the perfect place to sign your heart out in Bangor. With a diverse food menu and an even longer drink menu, you’ll always have a good time at Paddy Murphy’s. Every Saturday at 8:30 p.m. you can enjoy a night out with your friends belting out Adele tunes with Lil’ Music Man. If you can’t hit the high notes like Adele, don’t worry. Seasons Grille has thousands of songs to choose from with no cover charge. Flask Lounge is your typical neighborhood bar in Portland’s West End. Home to great drinks, fun people, and loads of nightly entertainment, Flask Lounge will quickly become your new favorite bar. Every Thursday night is karaoke and open mic comedy night so join the fun by signing a tune or just listening to others. Maxwell’s Pub & Grille is Ogunquit’s premier spot for great entertainment. It’s open every day during the peak summer months and on the weekends during the offseason. Karaoke is available every night except on Wednesday Night Trivia nights. Camden might be your quintessential coastal Maine town, but Cuzzy’s is not. With plenty of good food and drinks, this little restaurant is also home to heaps of summer. Head to Cuzzy’s on Saturday nights at 9 p.m. to try your hand at karaoke. It’s a popular place to be seen and heard! Seasons is a large restaurant, sports bar, and nightclub all under one roof. Experience one of Bangor’s best karaoke nights at the DownUnder Club on Friday nights. Grab your girlfriends and head to the club to blow off some steam with DJ Dingo. Bar Harbor is a happening town during the summer months with thousands of tourists flocking to this little town. For the tourists in the know, Little A’s is where a lot of the locals go. With good and decently priced food and beer, Little A’s also has a fun karaoke night on Wednesday and Friday nights. Bring the kids on Friday from 8 p.m. to 9 p.m. for family friendly karaoke. Shooters Sports Pub is the place to be on the weekends in Mechanic Falls. With a great drink menu and lots of great local musicians playing some tunes, it’s a fun bar for all ages. Legal ages, of course! Head to Shooters on Thursday nights to sing karaoke and dance the night away with DJ Scotty Dawg. View more Maine Bars and Saloons.